In May, 1994, Ferrari introduced a new model to their sports car lineup. The car was designated the F355 (and 355 F1 for all models later equipped with an F1 transmission) and designed by long time coachbuilder Pininfarina. Hardtop (berlinetta) and Targa top (GTS) versions came first. Those two models were later joined by a convertible (spider) model in 1995. During the six-year production run, Ferrari also built over 300 F355 Challenge cars for the Challenge Series. The last 100 cars built in 1999 were designated Serie Fiorano models. These cars had special accessories not usually found on a 355 or F355. 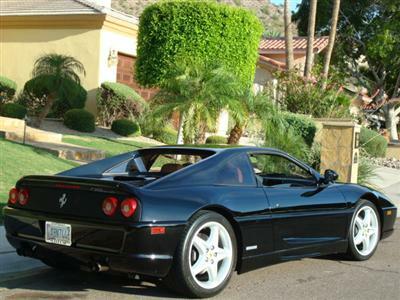 Ferrari ended production of the (F)355 in 1999 and began production of the 360. Many car enthusiasts, spokespersons and design groups around the world have declared the Ferrari (F)355 as one of the most desirable and best cars in the world. Jeremy Clarkson - host of the world famous "Top Gear" television show recently cited the Ferrari (F)355 as one of the best sports cars of the last 50 years. Here you will find a constantly growing list of some of the 11,373 Ferrari (F)355s produced. If you want your (F)355 added to the register, please click the Add Your 355 link. To view the registry, please click Registry and select from the dropdown menu.